When she was at university working on her Communications and Media degree, our youngest daughter, looked through a copy of my book “Ogilvy on Advertising”. She liked it and, in fact, has asked to keep it. Oh well, there’s one less book in my library. I refer to David Ogilvy, the author of that book, I want to put up some points on what he preached. Mind you, my brothers in the advertising industry who put up their work for awards, will probably not agree with me. I do think they may do so privately, but not in public. A theory I used to put forward when talking shop is that advertising creatives go for the awards, as these make good items to add to their résumés. Oh, probably help the back wall of their officespace look nice with all the trophies, certificates and whatnots. Back to David Ogilvy. Interestingly, he didn’t set out to be advertising creative or copywriter. He started his working career as a chef, then sold (AGA) cookers door-to-door. He did well in his selling job and he was asked to write an instruction manual, The Theory and Practice of Selling the AGA Cooker for the other salesmen. 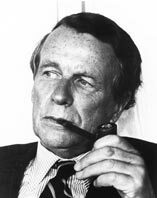 In fact, thirty years later, Fortune magazine editors called it the finest sales instruction manual ever written (ref Wikipedia) https://en.wikipedia.org/wiki/David_Ogilvy_(businessman). Oh, and he is described as the “father of advertising. Ogilvy moved the United States and worked in market research—George Gallup’s Audience Research Institute in New Jersey. The second world war intervened and he worked for the British Intelligence Service in their embassy offices in Washington DC. After the war, he went to farming and bought a farm in Pennsylvania. Eventually, he got bored with farming and moved to Manhattan (NYC). It was in New York where he started an advertising agency (called Ogilvy, Benson, and Mather), which eventually became known as Ogilvy and Mather. Anyway, it’s good point out that his personal selling and later research background has helped him realise the importance of selling and research. Ok, enough of an introduction on David Ogilvy. Let me put up some of his better known thoughts and comment on these. We already included some thoughts on the need for the good headline and quoted Ogilvy in that post.